지난 5월, 샤카디타 코리아는 그동안 샤카디타를 통해 인연 맺은 태국의 불자 남펫 파니치판 미켈센의 한국 방문을 따뜻하게 환영했습니다. 남펫은 한국 방문 중에 시간을 내어, G.E.P. 6기 수강생에게 태국의 불교 문화에 대해 알려주는 시간을 가졌습니다. “오늘날 태국 테라바다 여성불자가 사회에서 맡은 역할과 기여”를 주제로 한 남펫의 5월 19일 강연을 본 지에 싣습니다. This past May, Sakyadhita Korea was warmly welcomed by a Sakyadhita friend from Thailand, Nampet Panichpant Michelsen. 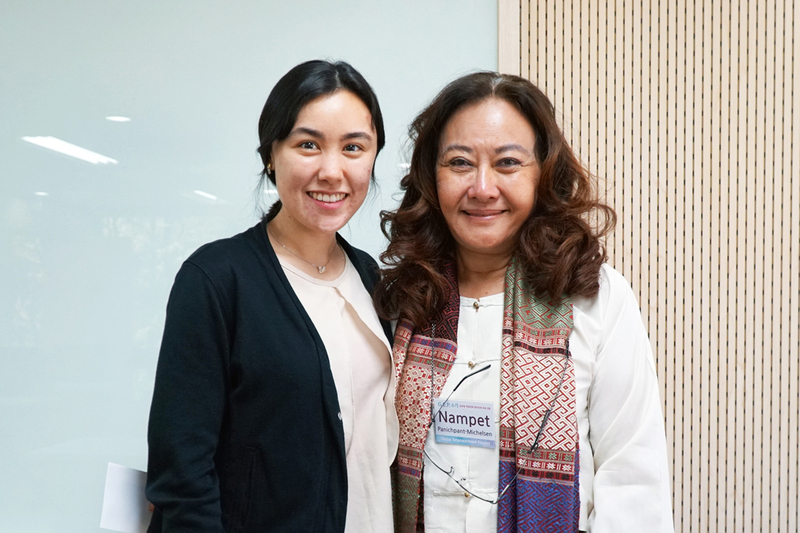 During her visit to Seoul, Nampet spoke with GEP 6 students about Buddhist culture in Thailand. 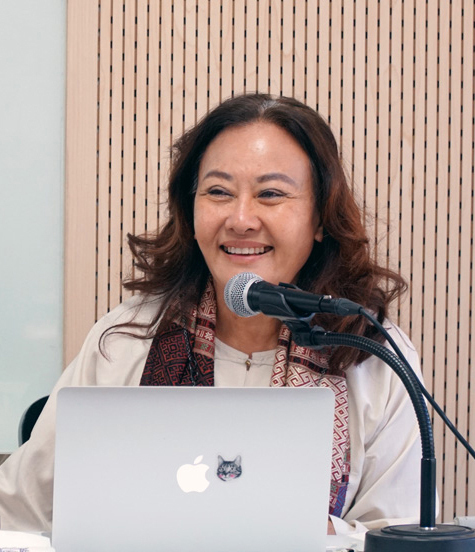 On May 19th, Nampet gave her presentation entitled “Current Thai Theravadan Buddhist Women’s Roles and Contributions to Society.” The following is an interview afterwards, based on the content of her talk. 현재 태국 테라바다 불교의 현황을 알려주세요. What are the Theravadan Buddhist sects in Thailand like? 태국 테라바다불교는 도시에 기반한 마하니까야(Mahanikaya) 파와 숲에 사는 임서파(林棲派)인 담마유트(Dhammayut) 파로 나뉩니다. 후자가 보다 전통적입니다. 그러나 최근에는 이 두가지 전통이 결합한 형태로 여성 수행자도 같이 고려하는 방식도 일어나고 있어요. There are both urban (Mahanikaya) and orthodox forest (Dhammayut) Thai Theravadan Buddhist sects; however, more recently, women-focused traditions that combine urban and forest spheres have begun to emerge. 태국 불교 여성 중에 중요한 분들을 소개해 주세요. Any Thai Buddhist women who you find to be very empowering? 여성불자에게 영감을 주고 불교 공동체를 화합시키기 위해 노력하는 분으로 특히 매치 산사니(Mae Chee Sansanee)를 들 수 있겠네요 (태국을 비롯한 테라바다 불교권에서는 비구니 교단이 없다. 태국불교에서는 출가하고자 하는 여성 수행자를 8계 또는 10계를 주며 이들을 매치라 부른다). 한 때 패션모델이자 배우였고, “사회적 여성”의 삶을 누렸었으나, 은막의 화려함 뒤에 가려진 실재를 깨닫자 명성과 물질적 집착에서 벗어나 승려의 삶을 살기로 결정한 분이시죠. 또 다른 훌륭한 분으로는 샤카디타 인터내셔널의 설립자 중 한 명이기도 한, 담마난다(Dhammananda) 비구니 스님을 꼽고 싶어요. 담마난다 스님의 모친은 대승불교에서 사미니계를 받은 태국의 첫 출가여성이기도 해요. 담마난다 비구니는 매우 깊은 이해심을 가진 분으로, 스리랑카에서 출가하여 비구니 구족계를 받은 후 태국으로 돌아와 첫 비구니 사찰을 설립하신 분이죠. One nun in particular who has really inspired Buddhist women and tried to unite the Buddhist community is Mae Chee Sansanee from the urban sect. She was once a fashion model and an actress, she knew what it was like to be a “society woman.” However, she one day saw the reality of glitz and glamor, which is when she decided to become a nun and live without the fame and material possessions. Another empowering nun is venerable bhikkhuni Dhammananda. She is one of the cofounders of Sakyadhita International and her mother was actually the first female monk, but from the Mahayana sect. She is a very understanding nun who became ordained in Sri Lanka before returning to Thailand to establish the first Bhikkhuni temple. 태국불교 비구 스님 중에서 여성을 지원하는 스님을 소개해 주세요. Any monks who also support and empower women in Thai Buddhism? 네. 아잔 브람(Ajahn Brahm)이라는 영국 출신 스님께서 호주 서부에 위치한 사찰에서 비구니계를 주고 계십니다. 그분은 태국 테라바다불교의 임서파 출신인데다 비구니 스님들을 지지하는 입장을 표명하셨기에 태국 교단에서 파문당했습니다. 태국의 많은 여성 수행자들은 그분이 태국에 돌아와서 자신들을 돕기를 간절히 바라고 있지만, 불행히도 태국 승단은 만약 그 분이 계속 그렇게 비구니를 출가시켜서 받는다면 비구계를 반납해야 한다고 주장합니다. 따라서 우리 여성불자들이 뭉쳐서 비구니계 수계를 지지하고 협력해야 할 필요가 있습니다. Yes, British monk, Ajahn Brahm, actually allowed for his temple in Western Australia to ordain nuns. He originated from the Thai Theravadan forest tradition, and because of his support for nuns, many forest tradition nuns have been asking him to return to Thailand! Unfortunately, if a Thai monk says that he offers to open his monastery to ordain, that monk will have to disrobe. Therefore, we need to work together as a team to help support the ordination of nuns. 태국에서는 지역별로 출가 여성들을 돕기위한 어떤 활동이 일어나고 있나요? How do the various regions in Thailand support and empower Buddhist nuns? 태국 북부지역에는 농촌 지역에 기반한 센터들 (좀통과 도이 사켓 센터)이 있어 다른 나라나 그룹들 간의 교류를 돕고 있습니다. 최근 한국 비구니 스님들과 교류한 것을 성과로 꼽을 수 있겠어요. 동북지역에는 여러 외국어를 하는 지식인 여성불자가 많아요. 그래서 이 지역 여성불자들은 세계 각지의 승려와 불자들과 지속적으로 교류하고자 합니다. 최근 미국 알래스카에 태국식 절을 건립하기도 했습니다. 이곳은 불자에게, 특히 여성불자들에게 늘 열려 있습니다. 마지막으로, 태국 남부지역이 있습니다. 이 지역 남성들은 다소 마초적인 성향이 있습니다만 최근이 지역 불자 공동체의 몇몇 남성들은 탁발 나온 비구니 승려들에게 정중하게 예를 갖추는 모습을 보여주고 있습니다. 이 지역 남성들은 비구 스님 보다 여성 출가자들이 계를 더 잘 지키고 모범적으로 산다는 것을 인지하고, 그래서 이분들을 더 존경하는 것입니다. In the northern region of Thailand there are provincial and semi-rural women’s centers (Jomtong and Doi Saket centers) that allow for the exchange of learning between countries and groups. One example is the promotion of increased learning between Korean and Thai Theravadan nuns. Then, in the northeastern region, there are many women intellectuals who speak many languages, and they decided that they would like to help stabilize and strengthen lay and monastic females and males in the four corners of the world. They’ve even built a small monastery-like house in Alaska, which welcomes any Buddhists, especially female Buddhists. Finally, in the southern region, the men tend be a bit “macho.” However, the men in some of the southern Buddhist communities actually show quite a bit of respect for visiting nuns. The southern men recognize how much more observant of the precepts the nuns are in comparison to the monks, so the nuns have gained a lot of respect even from the most “macho” of southern society. G.E.P. 6기 수강생에게 테라바다 불교 현황과 태국 여성불자들의 활동에 대해 알려주신 남펫 님께 감사 드립니다. 우리 모두 그분의 강연을 통해 즐거운 배움의 기회를 가졌습니다. Thank you so much to Nampet for enlightening GEP 6 students about Theravadan Buddhism and the empowerment of Thai Buddhist nuns! Everyone enjoyed her presentation very much. *시드니 톰슨은 샤카디타 코리아 홍보간사를 맡고 있으며, 샤카디타 코리아 뉴스레터 영문판 에디터로 일하고 있습니다. 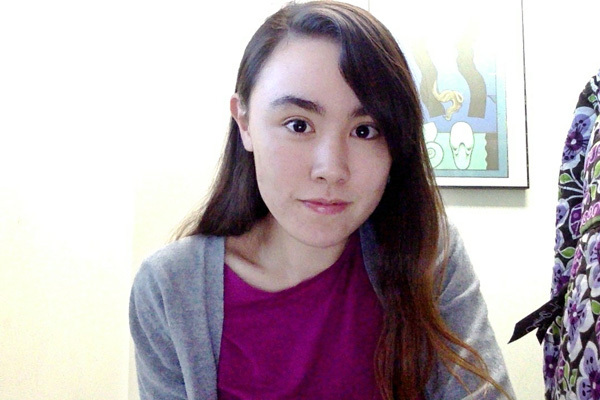 *Sydney Thompson is Sakyadhita Korea’s publicity assistant and writer for Sakyadhita Korea’s English content.